Richard is a Senior Lecturer in Epidemiology at the University of Leeds. His research areas include the epidemiology of cancer in children, teenagers and young adults using the regional Yorkshire Register of Cancer in Children and Young People and national cancer registration datasets. Further work includes exploitation of Hospital Episode Statistics (HES) data to monitor hospital activity; delays in diagnosis for children and young adults with cancer and impact on long-term health; and the delivery of care among young people with cancer and impact on clinical outcomes. 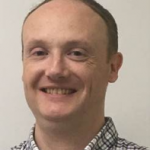 These interests and expertise link his work to the BRIGHTLIGHT study: Richard has interests in developing and validating a measure of specialist care for teenage and young adult cancer patients using information drawn from the BRIGHTLIGHT cohort.